The first of Carnival Cruise Line's Conquest Class ships, the 110,000-ton Carnival Conquest is a large ship that's filled with tons of things to do. From the huge Seaside Theatre, Spa Carnival, Tahiti Casino and Broadway-style showroom, to a 9-hole mini-golf course and the Twister Waterslide, there's something for everyone! Carnival Conquest currently sails year round from Galveston, Texas and exclusively does 7-night Eastern and Western Caribbean cruises. 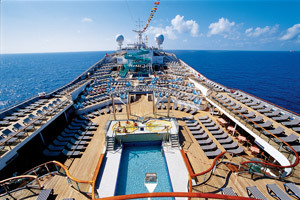 During late 2011, Carnival Conquest will be repositioned to New Orleans, where it will continiue doing Caribbean cruises. As far as the accommodations on board Carnival Conquest go, 60% of the staterooms have an ocean view, while 60% of those staterooms have a private balcony. Whether you're looking for an interior stateroom, an ocean view cabin, a balcony or a large and luxurious suite, there's sure to be something that fits both your budget and needs on this ship. 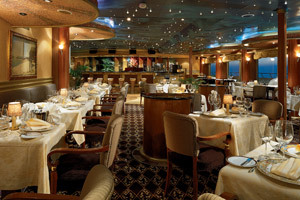 There are many dining options available on Carnival Conquest. Among them are 24-hour room service, the main dining rooms (Renoir and Monet), casual options such as Cezanne Restaurant, as well as The Point Steakhouse (an upscale specialty restaurant). Carnival Conquest features a wonderful youth program on board. 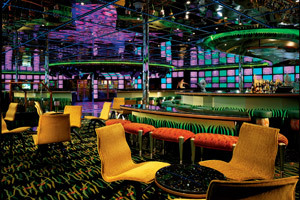 In fact, Carnival Cruise Lines offers one of the best kids and teen programs at sea. They split children into age-based groups, and supervise all activities with well-trained professionals. Camp Carnival is for 2-11 year olds, Circle "C" is for 12-14 year olds and Club O2 is for 15-17 year olds. 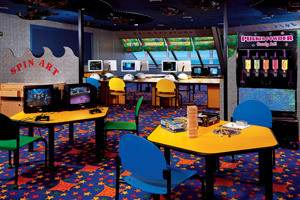 There are special areas throughout the ship that are dedicated to their youth program. This 12' x 22' jumbo-sized LED screen has a 70,000-watt sound system that's sure to entertain you during a cruise aboard Carnival Conquest. 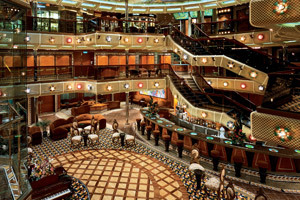 Among the many things that play on this screen during a cruise are live sporting events, news, movies and concerts. 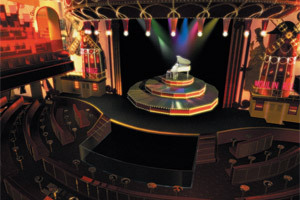 Carnival Conquest's main show lounge is where you can enjoy a variety of entertainment on a nightly basis, such as Broadway-style shows, magicians, comedians, singers, musicians and dancers. 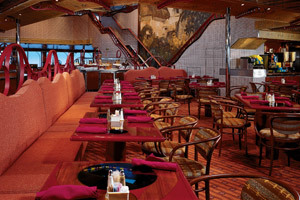 Aside from the standard dining options, which are many, Carnival Conquest also features this upscale, chic steakhouse. There is a per person cover charge to dine at this restaurant, but it's offers a fine dining experience that you wouldn't want to miss! 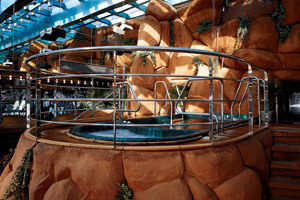 Those looking for some rest and relaxation should consider enjoying a treatment at Carnival Conquest's spa, Spa Carnival. Also at this venue is a state-of-the-art fitness center, as well as a beauty salon. Feeling like a rush? Splash, play and slide along Carnival Conquest's exciting spiral waterslide, towering at three decks in height. It's sure to provide a fun time for the entire family! 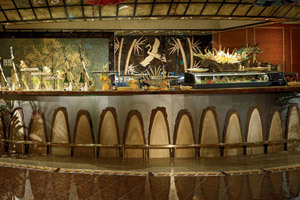 Try your luck or enjoy a cocktail in this venue, featuring blackjack, roulette, poker, slot machines and more! Low Price Guarantee on all Carnival Conquest Cruises! Book any Carnival Conquest cruise with us and you'll get the best deal possible, regardless of the ship or sail date! 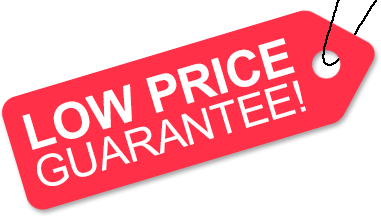 Because of our "Low Price Guarantee," nobody beats our Carnival Conquest cruise prices, so look around and you're sure to find the best Carnival Conquest cruise deal possible when booking with us! 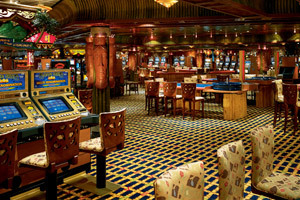 Pre-Paid Gratuities on Carnival Conquest Cruises! Get Cruise Cash when you book a Carnival Conquest cruise with us. The value of the Cruise Cash depends on the particular cruise and accommodations you book. Cruise Cash values are listed on Step 3 of the online booking process. Save up to 20% on Carnival Conquest Cruises! Book a 3- to 5-night Carnival Conquest cruise at least 3-months in advance, or a 6-night or longer Carnival Conquest cruise at least 5 months in advance and save up to 20%! Plus, get Price Protection from Carnival: If you find a lower Carnival Advertised Rate, after booking, Carnival will honor it and issue the difference in the form of a non-refundable onboard credit. We do not charge booking fees on any cruises! You're sure to enjoy an affordable Carnival Conquest cruise when booking with us! Our special offers on Carnival Conquest may not be combinable. Certain restrictions apply to each offer. View terms and conditions during the online booking process. Click a price below to view the Carnival Conquest cruises during that month in that destination.